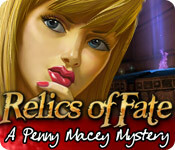 Relics of Fate: A Penny Macey Mystery is rated 3.8 out of 5 by 32. Rated 5 out of 5 by smilingsun72 from Help Penny find the relics and rescue her dad! This is a great game for something different. It doesn't have anything dark or gloomy. Awesome story about a daughter solving a case while looking relices and her abducted dad who happens to be a private investigator. The puzzles aren't that hard. The voice acting is well done. All the scenes have good graphics and the music score is nice. Rated 5 out of 5 by FionaPa from This game gets everything right I haven't enjoyed a game as much as this in a long time. Set in the modern day (yey!! ), not driven by cutscenes. Relaxing and enjoyable gameplay, split into nice short chapters so that the game can easily be played over many days. I really enjoyed the music too. Rated 5 out of 5 by queenvon from Old School Mystery HO Game! No scary stuff here--no vampires, ghouls, or scares--just HO scenes and a mystery. Jack Macey is a PI on the trail of some mysterious relics. His daughter, Penny, arrives at his new office to find it's been tossed and her dad is missing! Playing as Penny, we follow the hints and clues her dad has left (& we find) to beat the bad guys/robbers to the relics. 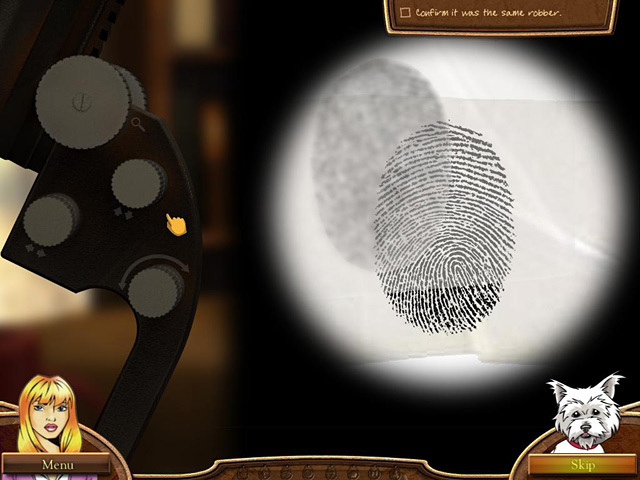 Nice HO scenes, some figuring out where something is hidden or what to do next (such as how to dust for fingerprints) is involved in each level. Overall, I found this a nice, sort of 'Old School' HO game--no blood and guts, but a good mystery beat the bad guys to the relics and rescue your dad game. If you like mysteries, like HO games and are as tired as I of the scary/spookie/eerie and gross HO games that seem to be all the rage just now, then this is a game for you. Not too easy, not too hard, just plain old fashioned fun! 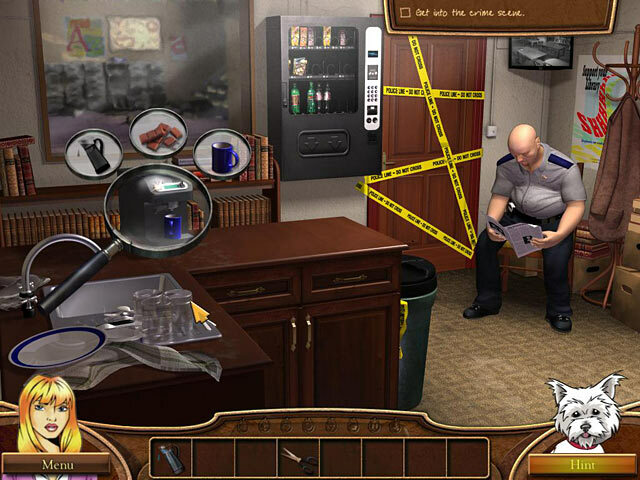 Rated 5 out of 5 by chrisdr from A must for all those hidden object fans I thought this game was very interesting with many hidden object scenes. All good with this game. Rated 5 out of 5 by JulieJay from A Great HOG Thoroughly enjoyed a few hours chilling with this game. 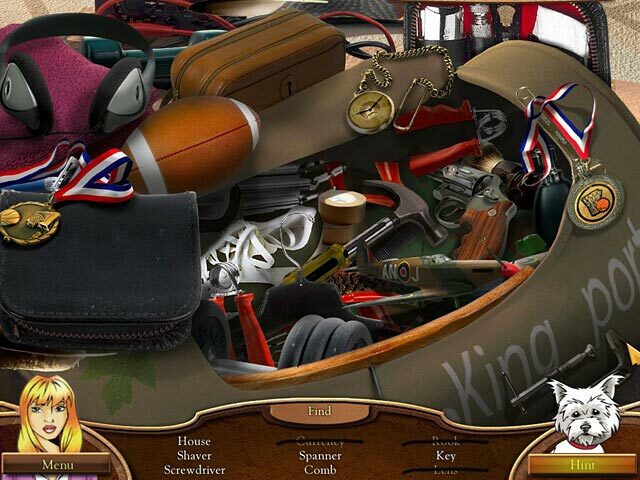 Loved the idea of when you had a few things to collect they went into your inventory so you could put them all in the correct place at once instead of keep clicking and putting them into the circle (I know what I mean LOL). The graphics were great and the music was lovely - I normally turn that off. I was really taken in by the game and found myself rushing to find the HOs when the bin was on fire and the alarm was going off, and again when the burglar was in the shower! Didn't want to get caught! I would have liked the choice of voice-overs but that didn't spoil the game for me. Rated 5 out of 5 by tilmalene from Entertaining Great game, great story and persons in the game. Rated 4 out of 5 by Heather_G from Kudos to the artists. I won't duplicate the excellent, comprehensive reviews posted so far, but I wanted to mention something I found impressive. In general, the graphics are good but not outstanding, however the very realistic movements of the people and animals did get me to sit up and take notice. Take the title screen for instance. Penny's arm not only moves to shine her light on each available item, but the cloth around her shoulder as well, and her wrist changes angle in a lifelike way. The little dog/helper doesn't just sit there as a static picture, but pants, looks around, and reacts to things on screen. Also, his facial expressions are very intricate and true to life. Okay, in general this game is a nice little adventure with some hidden object scenes sprinkled here and there. It isn't overly hard, or very long, but I enjoyed it. If you like playing games by a developer that pays attention to details, this game may appeal to you, too. My hat's off to the artists that went the extra mile when making this game. Nice job! Rated 4 out of 5 by grunny50 from Great little game I really enjoyed playing as Penny Macey, visiting different crime scenes and sites to rescue my dear dad! I liked the HOS's and the puzzles, and just found this a lot of fun. Plenty of game time, and plenty of interest.